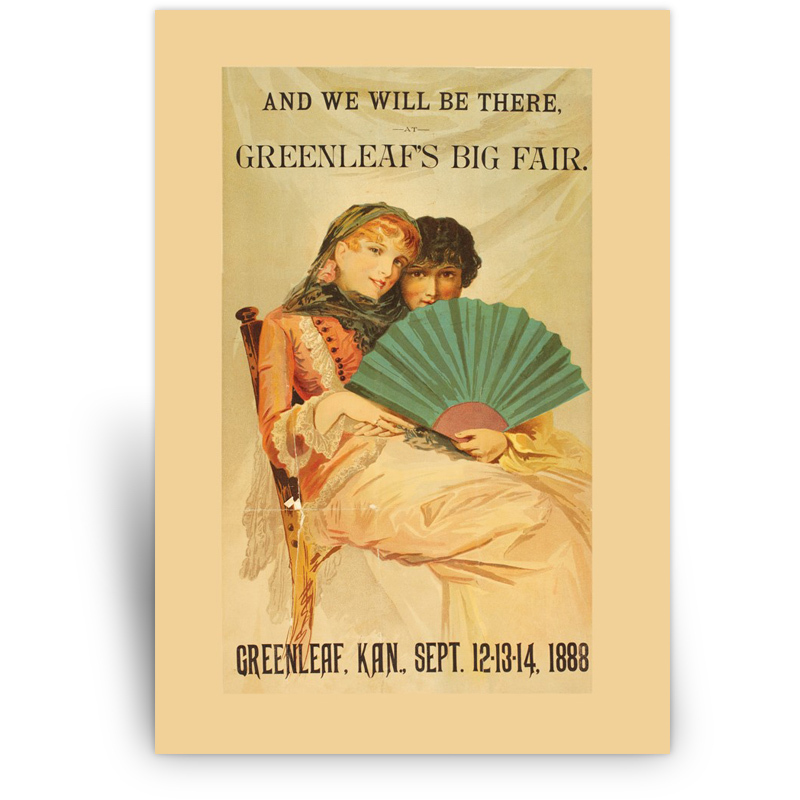 “And We Will Be There, at Greenleaf’s Big Fair,” proclaims this poster printed by the Washington County Agricultural and Mechanical Association in 1888. The poster features two girls holding a hand fan. From the collections of the Kansas Historical Society, the print was produced for the Kansas Historical Foundation.